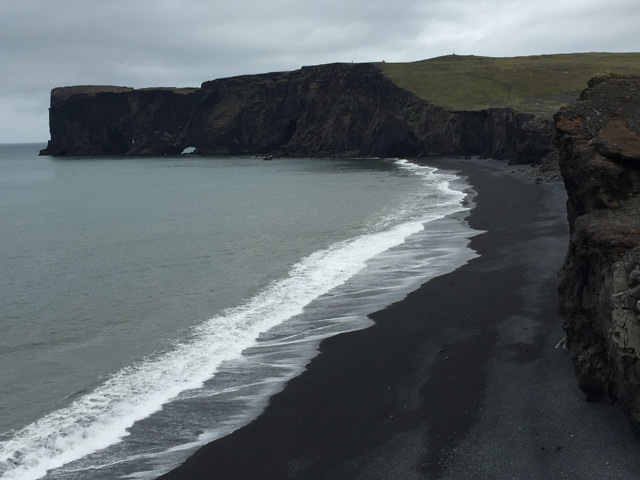 To drive Highway 1, the “Ring Road” that circles Iceland, is to enter and leave a new world every half hour or so. My son and I drove it this summer, and coming from parched Santa Barbara, I was struck most by one constant: the abundance of water. 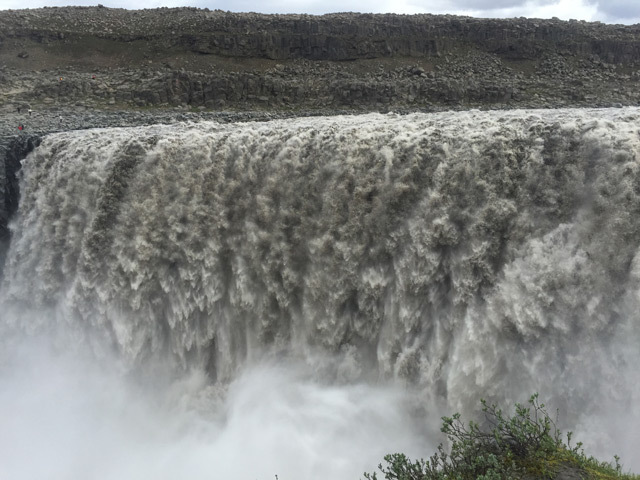 Much of that water finds its way into waterfalls such as Gullfoss, the “Golden Falls,” a two-level, rainbow-generating doozy that makes Niagara look pedestrian; Dettifoss, a massive rush of ashen river in the middle of a stark gray moonscape; Goðafoss, into which a 10th-century leader threw his statues of Norse gods, thereby converting Iceland to Christianity; and a thousand other showstoppers — high and narrow, low and wide — which might or might not have names. As you make your way through the mist toward the roar and rumble, there are very few warning signs. Evidently if you are stupid enough to edge too close to a precipice, you deserve to perish. Along the 800-mile route, endless fields of purple lupine give way to black sand beaches, which become grassy valleys and lava plains. 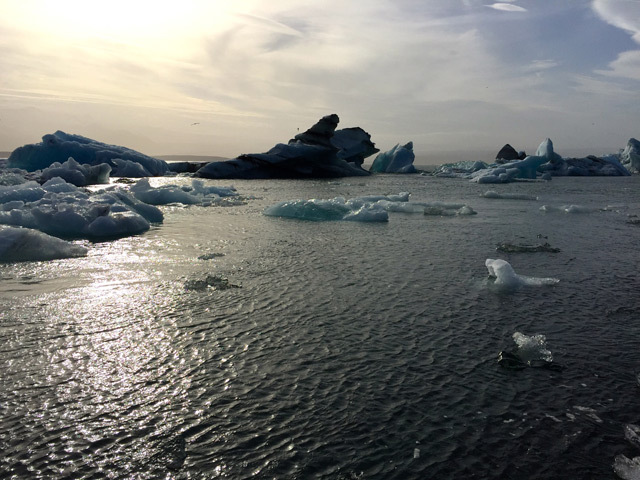 We stacked stones atop the countless cairns marking who knows what and could practically touch the icebergs bobbing in the frigid waters of Jökulsárlón. We stayed at a converted boarding school in Skógar. On the wall of our room hung photographs of the class of 1972-73, showing enough shaggy-haired, glassy-eyed boys to have populated every heavy-metal band in England at the time. Sheep meandered everywhere, and whether ewe or ram, every adult seemed to be accompanied by two lambs — most of them, alas, destined for the smokehouse. We drove through a tunnel above Neskaupstaður only wide enough for one vehicle. There are several pullouts inside, but you wouldn’t know that until you ventured into its darkness. Locals call it the “Rat Hole.” “No one’s died in 50 years,” our waiter proudly told us. Highway 1 is usually narrow and frequently serpentine as it gains or loses thousands of feet of altitude in the time it takes to regret you ever learned how to drive. In the far west, the highway is unpaved. 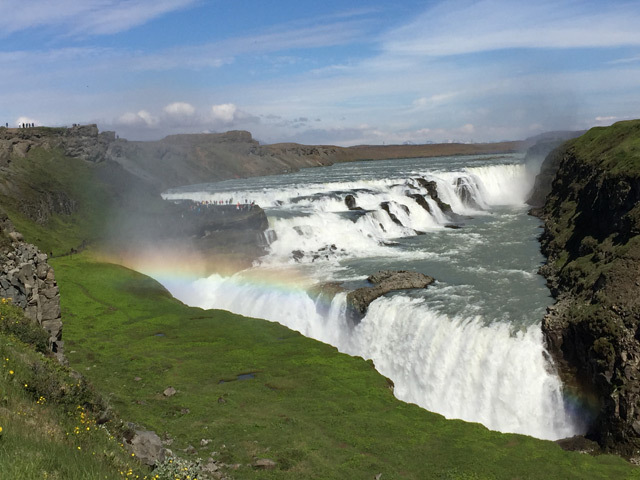 We left the Ring Road often, to see a glacier or climb an extinct volcano, watch a geyser spouting or wander through a distant fjord. Occasionally, the sky opened up to the nearly constant summer daylight, but more often low clouds hovered almost within reach, promising and delivering rain. Sometimes fog obscured everything, and then it would lift suddenly to reveal the treeless landscape — otherworldly, profligate, barely sane.